The Plow Pose or Halasana is classified as a folded inversion posture from the Ashtanga Primary Series. Traditionally, it is the wrap-up posture of an asana series. By performing the Plow Pose at the end of a string of postures, you would be preparing the body-mind for meditative relaxation and pranayama. 1. Laying your arms to the side begin with the first halasana steps. Stretch on the mat flat on your back. Turn your palms facing down. Next, coordinated with an inhalation, utilize your abdomen muscles to hike your legs upwards. 2. Go legs up all the way in doing the plow pose halasana and your torso makes a perpendicular against the mat. Lower your toes arching over with your hips to the ceiling, aligned with your head kept on the mat and legs fully extended, no bends. Tip: If you face problem touching your toes in the halasana pose all the way down to the floor, prop up your back with hands joined together and lower the legs as far down as possible without bending. 3. Interlace your fingers and press down with all might on the floor with the pinkie finger. This will create a delicious relaxation all the way up your arms and to the hips which is super-enjoyable, especially for halasana beginners. 4. Draw in your inner groin towards the back of your pelvic floor by lifting your tailbone higher. Maintain some space between your chest and your chin. At the same go, continue lifting your chest toward the upper back. Keep your neck soft and gaze fixed toward your cheek all of this time. 5. Five minutes is the maximum time you need to hold the original pose as well as in all halasana variations. 6. Dispatch from the pose by supporting your back with both hands as you roll gradually down, feeling one vertebra unwinding at a time. At this point, you can bend your knees if it helps! Since the Plow is going to give your neck one hell of an unusual twist, better buck up with some soft blankets below the neck. This way, it would be safe to exert pressure on the neck to shore up the torso. Most people find Halasana a tad bit too hard to execute to the full capacity of the posture, get stuck at the foot level, are unable to place them down upon the floor. This could be easily enabled by one simple trick. Use a block to make a platform for your feet to land higher than the floor. You will still be able to reap the maximum benefits of the posture. So, you need to hold on for a few breaths at the back arched point of Halasana. This could get exceedingly challenging, putting an unnecessary strain on the spine. Therefore, you need the wall for support. Place your head on the floor, an arm’s distance away from a wall so that when you do the arch, your toes can have the wall for support and give you more grip over the posture. Makes Digestive Juices Flow: The inversion in the context of Halasana pose benefits makes for a rarely accessible massage of the internals. The stomach is set into a churn necessary for the consumed food to be ingested and a gentle pressure is thrust upon the colon responsible for proper assimilation. While the best way to avoid digestive complications would be to put proper checks and balances on a given lifestyle, you can always make Halasana part of your game to make up for eating the wrong food, in the wrong proportions, and the wrong times. Halasana could be especially easing for ulcerative colitis constipation. Takes Care of Back Ache: The Plow Pose can make a serious case for relieving backache issues. A direct effect on the spine is caused in this pose through an initial flattening and a subsequent reversal in the lumbar spine curvature. Sciatica, which is caused by the herniated thrust on a spinal nerve end can be alleviated with the Plow Pose. Cases of Arthritis and Disc Rupture, on the other hand, can also be addressed as the movements of this yoga posture guarantees secretion of lubricating spinal fluids. Stress Goes Down: The most valuable information on Halasana is performing the asana with deep breathing can thoroughly oxygenate and relieve toxins from different body areas. This brings peacefulness in the body and enhanced clarity in the psyche. The onrush of oxygenated blood to the head in this inversion, also definitely contributes to clearer thinking. Do the Halasana posture to optimize stress downing. Fights Diabetes and Thyroid Deficiency: The pancreas is a vital gland which serves both as exocrine and endocrine, contributing in the breakdown of proteins, carbohydrates, lipids etc; and also secretes insulin and glucagon for the control of blood sugar levels in the body. This gland situated on the underside of the stomach can be a hard spot to reach with voluntary movement. But by knowing how to do Halasana, you can actually squeeze the gland for vital digestive juices and the blood sugar balancing hormones. Gradual but self-sustainable and effective treatment of both hyperglycemia and hypoglycemia diabetes is now possible with yoga. One of the distinct advantages of halasana is that is it highly effective for easing cramped legs with ample stretch of the calves, thighs, and leg muscles. Say adieu to frequently popped painkillers and more of this sustainable treatment! Halasana precautions include marking the pose of the bounds if you are currently diarrheic, have glaucoma or similar eye disorders, a case of back pain or grave neck injury. Menstruating women should not strain in doing this posture as it can increase cramps and pregnant practitioners should get a medical consultation before attempting. 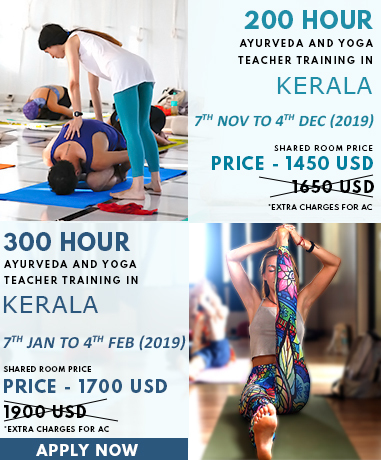 To know about Halasana in further detail, explore our Yoga Teacher Training In India.